and as I was just down the road thought I’d pop along to see what was happening. 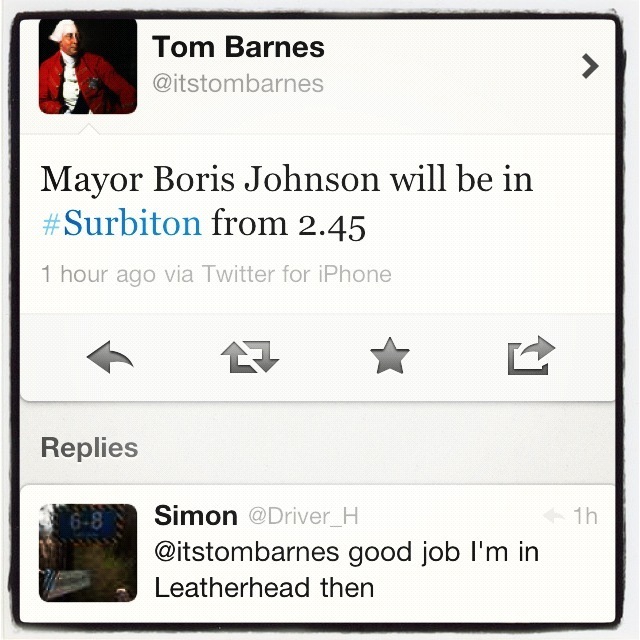 When I got there Boris was just coming out of Surbiton Cycles and walking towards me and the railway station. I went over and asked if I could have a photo with him. He kindly said “Yes, of course” and came over to stand next to me. I gave my phone to one of the guys in his entourage and asked him to take a photo of us. There were also about 5 other photographers taking pics of us. Boris: So will you be voting for me? Boris: Well, will you at least put me second? 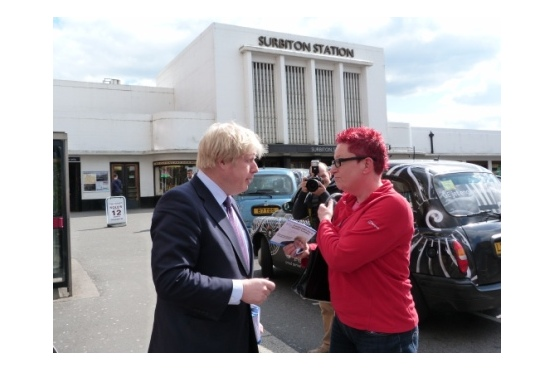 I told Boris that I like his hair, he said mine was better. I gave him my business card and he said “Cheeky Geek” and smiled. After that he went over to a group of people who were loitering by the station entrance, I think @itstombarnes might have been one of them. 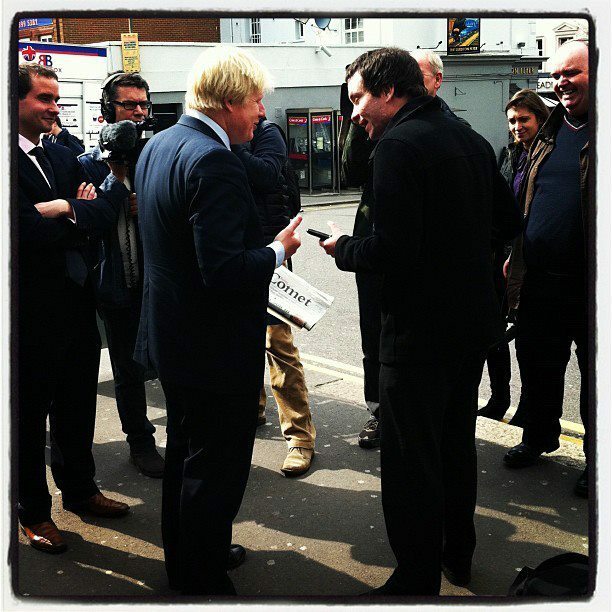 This is possibly him in this photo with Boris, posing with the local paper the Surrey Comet.